SilkAir to be merged with Singapore Airlines: what can we look forward to? 15 Comments on SilkAir to be merged with Singapore Airlines: what can we look forward to? Hands up those of you who can remember seeing an SQ livery on a narrowbody aircraft. It’s been rumoured for a while, but Singapore Airlines finally announced this morning that it was going to merge SilkAir into its parent brand. The merger will take place only after SilkAir undergoes a “major cabin upgrade”, estimated to be in the neighbourhood of S$100M, adding lie-flat seats in Business Class and seat-back IFE in all classes. This is expected to start in 2020. This is really exciting news, because I felt that SilkAir was always the less glamourous (uncharitable people might say “ugly”) sister of Singapore Airlines. There’s no flat beds, caviar or opulence on SilkAir. 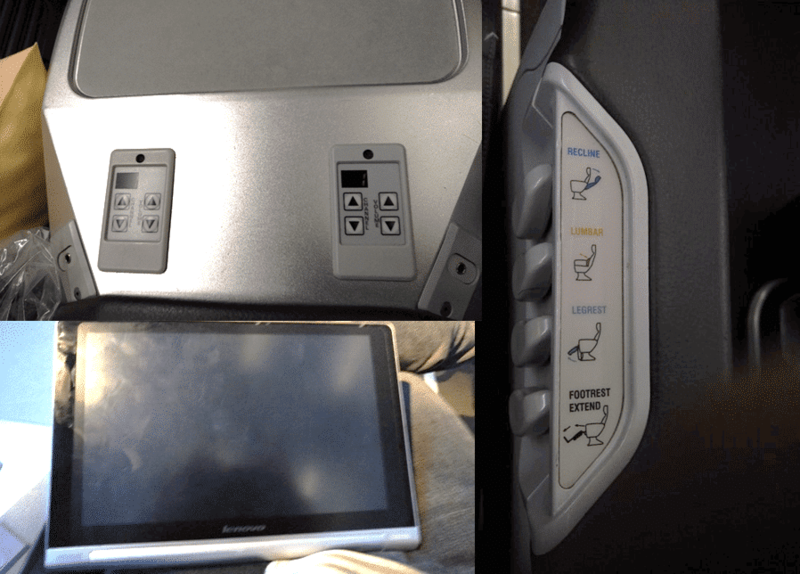 Instead, you’re looking at recliner seats, hand-held IFE (if you’re in Business Class) and seat controls that make you think back to the early 1990s. If Singapore Airlines is a great way to fly, SilkAir is an acceptable one. I flew SilkAir’s Business Class product for the first time late last year, and although it was a comfortable enough product for a short flight, it’s safe to say that a passenger connecting from SIA’s Business Class to SilkAir’s was going to be in for a rude shock. Why merge SilkAir into Singapore Airlines? To the casual observer, this may seem like a bit of an odd move. Why would Singapore Airlines want to subsume SilkAir? 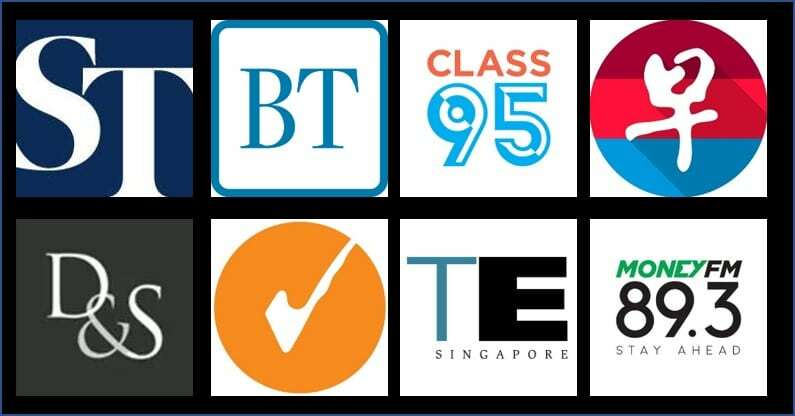 After all, the two airlines are positioned quite differently in the minds of Singaporeans. To understand this, it might be helpful to think about the recent Emirates/FlyDubai merger (not officially a merger just yet, but based on what Tim Clark and every aviation analyst is saying, it’s only a matter of time). On the surface, it seems puzzling too. What does a full service carrier like Emirates have to do with a low cost carrier like FlyDubai? The answer isn’t so much about what they have in common, but more about what they can do for each other. Emirates operates a widebody-only fleet with high capacity 777s and A380s (350-600 seats). These work great for serving high volume cities, but would be overkill for smaller or less popular ones that could still be economically profitable with the right aircraft. FlyDubai, on the other hand, only operates 737s (175-190 seats). In order to serve a big city like Bangkok properly, they need to run multiple flights a day which ties up crew and aircraft. 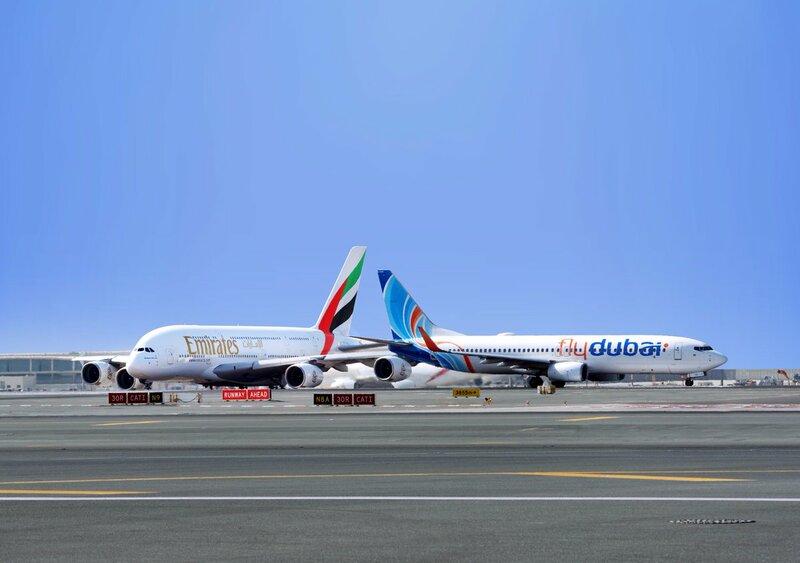 The merger means Emirates can operate the high volume, long haul routes with FlyDubai taking the lower volume, final hop connections. 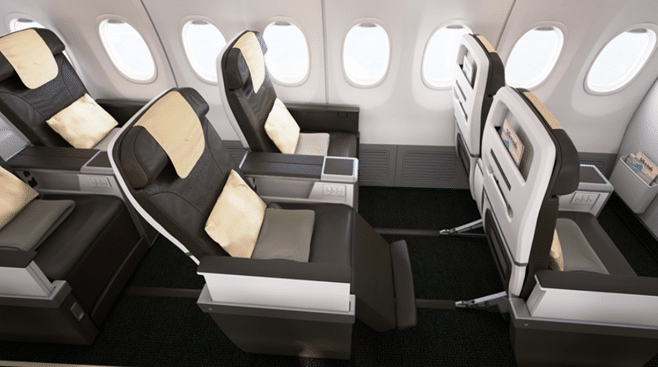 It’s true that there’s a gulf in product and service between the two carriers, but we’re seeing FlyDubai introducing lie-flat seats on their 737 MAX aircraft to bring their service up to that of Emirates. The parallels to SIA/SilkAir should be obvious. 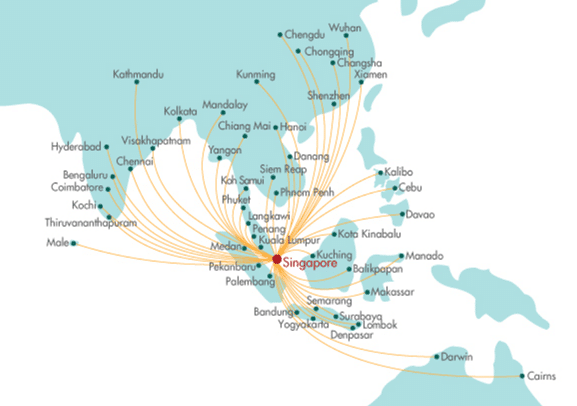 SilkAir currently operates short and medium haul routes with an all narrowbody fleet, inheriting routes from SQ which are no longer profitable to serve with widebody aircraft. These “thin” routes are either holiday destinations or second tier cities. Absorbing SilkAir not only means greater operating efficiencies for SQ, but also additional flexibility from the operation of a mixed-body fleet. For example, the airline could operate a year round service to destinations that can support widebody aircraft in peak season, but only narrowbody during the off-peak (I’m thinking of Sapporo). It also enables SQ to offer Star Alliance partners more seamless connectivity with a consistent product to regional destinations. SilkAir currently operates a mix of Airbus and Boeing aircraft. The A319 and A320s will soon be phased out for an all Boeing fleet. 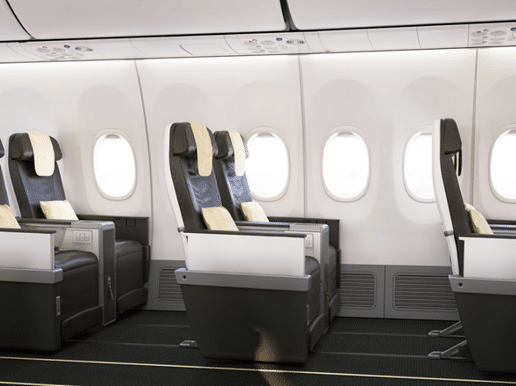 The Boeing 737 MAX 8 was added to SilkAir’s fleet late last year, and the airline opted to install a recliner-equipped Business Class cabin on these aircraft. The seats are certainly better than the old, tired ones on the older 737s, but will now make way for full flat seats. Given SQ’s want to offer a consistent product across its fleet, the question now becomes: what lie-flat product should SilkAir be considering? The obvious choice would be its new regional business class that just debuted on its Boeing 787-10 aircraft, but I’m pretty sure that was designed with a widebody aircraft in mind and may not transition well. Fortunately, there are many other choices already on the market. It’s worth noting that flatbed seats on a space-constrained narrowbody aircraft would have been unthinkable 10 years ago. In recent times, however, we’ve seen airlines start to introduce them. JetBlue, for example, offers its Mint product on A321 aircraft flying commercially important transcontinental routes. Delta, American and United also offer flat-bed products on these routes. As mentioned earlier, FlyDubai is in the process of installing flat-bed Business Class seats in its new 737 MAX 8 aircraft. 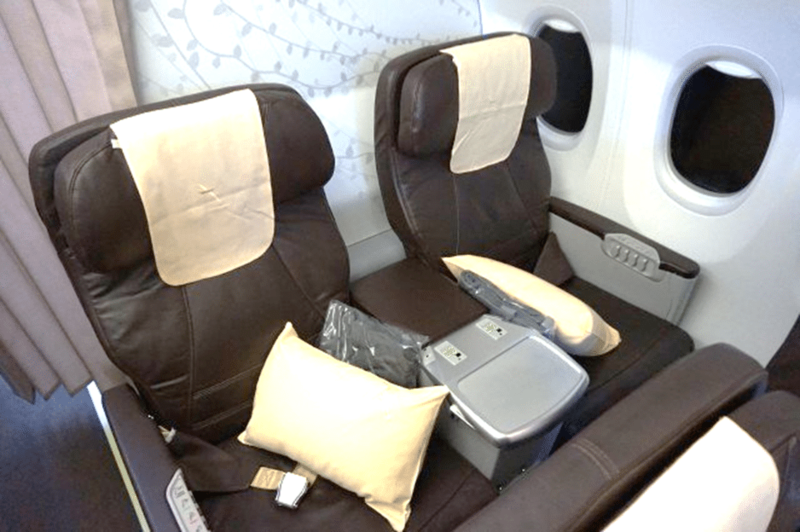 Elsewhere in the Middle East, Qatar Airways operates flat-bed seating on certain A320 routes as well. Heck, even Malaysia Airlines is looking to get in on the fun by installing flat-beds on its 737 MAX 8s when they come online in 2021. So there’s certainly precedent for this. Given how particular SQ is about cabin products, it’s unlikely they’ll just buy something straight off the shelf, so we’re likely to see a customized version of one of these seats in the near future. I’m quite frankly excited to see what happens. Similarly, it’s a relief that Economy Class passengers on SilkAir will finally have something more to look forward to than those awful drop down overhead monitors that play unfunny “Just for Laughs” gag TV shows that make your seatmate laugh his/her head off. The only thing good about those is it helps us identify those who must be first against the wall come the revolution. SilkAir is not part of Star Alliance, which means that award seats can only be redeemed by KrisFlyer members. When SilkAir is absorbed into Singapore Airlines, that award space will be available to all partner airlines (Singapore Airlines is in the habit of blocking long haul premium cabin award space, but I doubt regional routes will get blocked). This naturally means that us KrisFlyer members are going to face stiffer competition for seats to popular destinations like Koh Samui, for example. On the other hand, it means that passengers flying SilkAir will be able to enjoy Star Alliance benefits such as better lounge access. I don’t fly SilkAir enough to know of cities where there are great Star Alliance lounges and horrible contract lounges, but to the extent that those exist, passengers will be able to look forward to an upgraded ground experience. I certainly don’t think that all of SilkAir’s routes will be transferred to SQ. Lower margin routes that have less demand for a premium product will probably be transferred to Scoot. I’m thinking in particular that SQ will want to retain important Japan, Australia, India and China routes, while shipping off shorter thinner ones to Scoot. Depending on your travel patterns, this may or many not be an inconvenience insofar as you lose full service (and the ability to redeem miles, the Scoot Krisflyer tie up notwithstanding) on these routes. Merging SilkAir into Singapore Airlines shouldn’t come as that much of a shock. Many other large carriers have a mixture of wide and narrowbody aircraft that they use to serve different routes with branding consistency. For the record, this won’t be the first time Singapore Airlines has operated a narrowbody aircraft, nor the first time SilkAir has operated a widebody. Singapore Airlines used to operate Boeing 737s up until 1980, and SilkAir operated a few A310s on lease from Singapore Airlines in the past. It’s funny because I’ve always associated widebody aircraft with premium experiences and narrowbody aircraft with budget ones. Now I’ll need to rewire my brain to imagine what the legendary Singapore Airlines service will look like in a cramped environment. I expect we’ll learn more details as 2020 approaches. Hmm… I personally do not like travelling on narrowbody aircraft unless no choice … i.e EU domestic routes. I guess it will be interesting how they refurbish the cabin with IFE and flat bed business class. I am now more looking forward to try out the new SIA B787-10 business class to KIX next month. Just did a redemption last week. Once upon a time SQ operated (kind of) the ultimate narrowbody… Concorde. G-BOAD had SQ cabin crew and livery. Livery only on half of the aircraft. Operated by BA, not under CAAS AOC. Hence, SQ never operated the aircraft. Sorry but as a noob I don’t quite understand. Doesn’t SQ already own SilkAir? Why would this suddenly make things more efficient? Think operations. More efficient to have one finance team or two? One marketing team or two? Think contract negotiations. More bargaining power with a bigger fleet or smaller fleet? It boils down to a ‘one customer’ approach and therefore a more laser-focused customer experience. I see similarities on how Cathay turned Dragon Air into Cathay Dragon. off topic – seems SQ read your post on their poor account security and are now introducing 2FA…. Yup – go-live on 29th June. ha. can’t take credit for it though, this sort of things takes months to implement so it was probably already on the cards before i wrote.